I’ve never been in a hospital before. 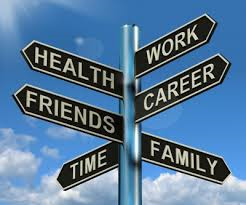 Checked in today at 6:00 A.M.
At 2:30 P.M. a man introduces himself. He is about to become my new best friend. “Your liver is in total failure. We don’t know why. You can’t live without it. There is no cure. No way to fix it. A soul-searing journey has begun. My life as I know it… is shredded. 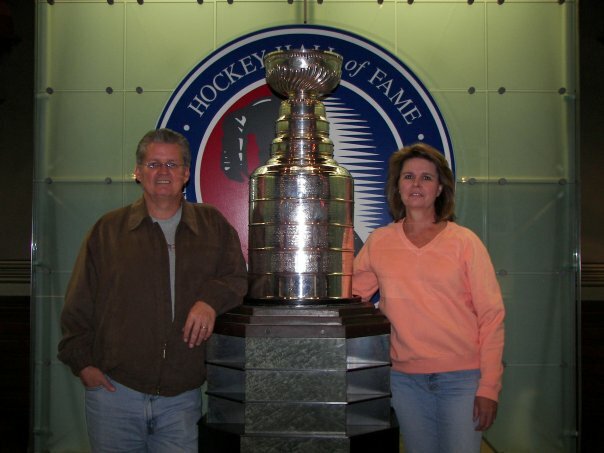 The same is true for Marie, my wife of twenty-four years. Ten years after a successful transplant, I need two additional organ transplants to maintain life. Were lessons learned from the first transplant? Are they repeatable? Is the reward worth the suffering? When all has been lost, can a life be rebuilt? Twice? After experiencing three transplants, Robert Scanlan decided to write down his experiences in order to help others. 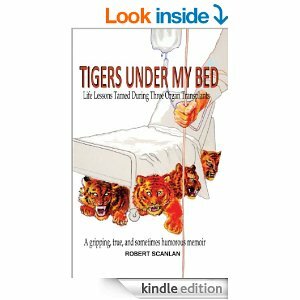 His truthful story is laid out without any veneer in “Tigers Under My Bed” a recently released novel that covers his time from first diagnosis to his life today. The things you will learn from reading it are shocking and helpful at the same time. 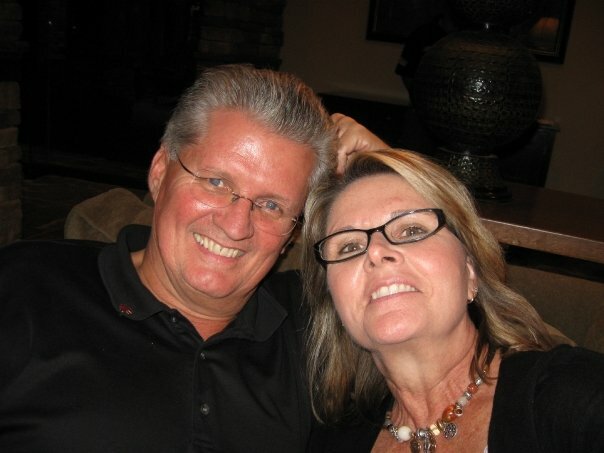 Prior to the release, hospitals, transplant surgeons and patient groups have kept Robert Scanlan in high demand to speak to others to help them through similar circumstances in dealing with traumatic illness, facing death, or being the caregiver in this situation. 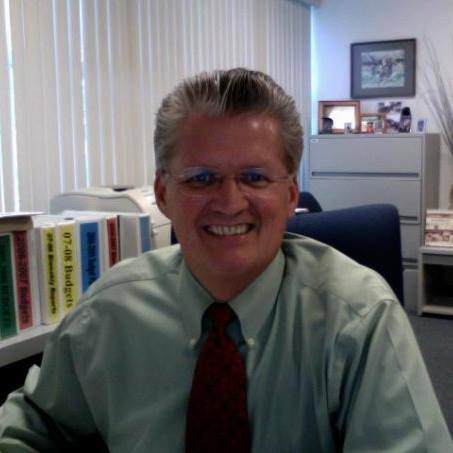 Since the publication of the book, Robert Scanlan has been asked to speak to various organizations, including the staff who treated him at the UCLA Medical Center. Patients, medical staff and their families have all thanked him for his unique narrative which provides insight to what many of us will face in our lives. 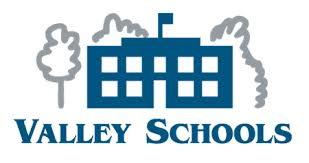 Each year, the Valley Schools Employee Benefits Staff (VSEBT) holds an Annual Conference for its members. This year’s event will be in mid-November. 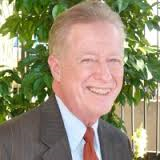 Guests will be able to hear directly from Robert Scanlan about parts of the healthcare system past, present and future, that few get to understand in such detail until they are thrust into it unprepared. Robert Scanlan speaking to a group of patients and their families. His book is now available on Kindle as well through many hospitals and patient groups. Prior VSEBT Annual Conference guests have included Dr. Andrew Weil, Congressman John Shadegg, and other prominent leaders in the healthcare industry. Congratulations to VSEBT for landing such an outstanding speaker for its annual event. This year’s event will include other prominent speakers as well. Tom Boone will start off the event and the Master of Ceremonies will be Tom Elliott. After the gym, the last thing I want to do is cook — I’m tired and sweaty and ordering takeout just seems easier. But eating the right foods after a workout is essential since it helps the body repair and recover from the hard work it was just put through. Before you give up on the idea of having a healthy, homemade post-workout meal, take a look at these recipes. 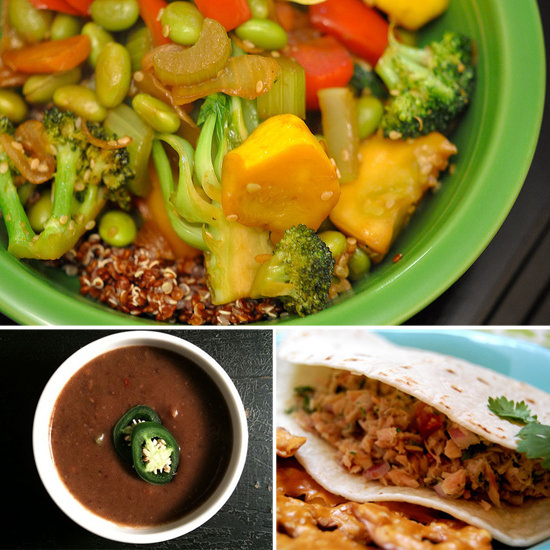 These meals are a great balance of protein and carbs and take around 15 minutes to prepare! After working out, it’s important to feed tired muscles with protein. 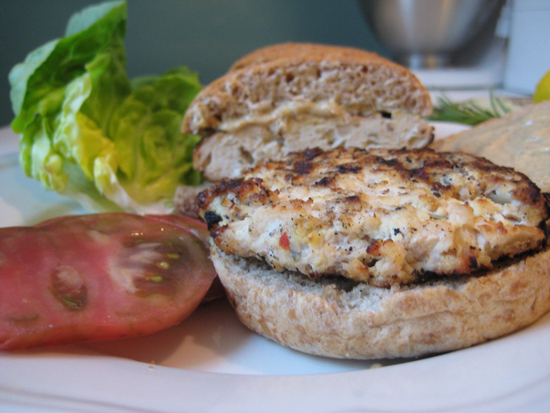 That’s where this recipe for herb chicken-tofu burgers comes in. Lean chicken coupled with tofu results in a protein powerhouse, but more importantly, it makes for a great-tasting burger. 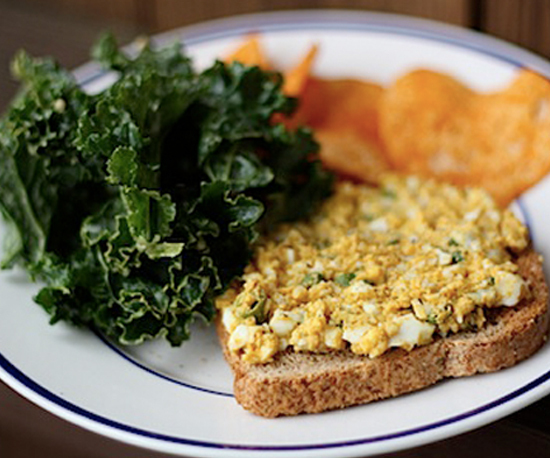 Whether spread between some whole wheat bread or topped on a bed of greens, curried egg salad is a quick, healthy, and tasty meal to whip up. For days when you’re famished after a workout, mix up a big bowl of vegetarian spelt and chickpea salad (it helps to have some precooked whole grains in the fridge). It’s a nice balance of fiber, protein, and antioxidants. If you’re not a fan of spelt, try this recipe for a chickpea, tomato, and feta salad instead. If you’re dead tired from the gym and the idea of cooking seems like a chore, it’s time to grill up some shrimp skewers — it takes all of five minutes! Check out these recipes for Greek shrimp, tomato, and halloumi skewers and skewered shrimp with homemade mango marinade. Full of protein, vitamins, and omega-3s, fish makes an excellent post-workout meal; luckily it barely takes any time to prepare! The recipe variations are endless, too. 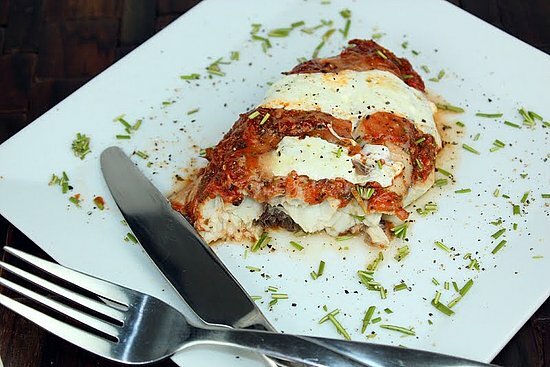 Try these recipes for pizza fish parmigiana, yellowfin tuna with fresh pineapple salsa, and cod topped with tomato peach salsa. 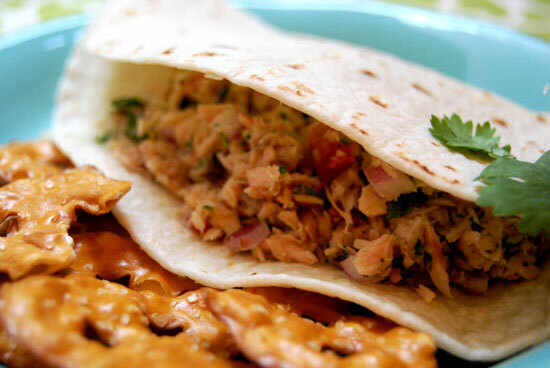 Tuna salad does not have to be weighed down with mayo; our protein-packed tuna salad pita stays light and fresh because it’s made using lemon and olive oil. In the end you’ll have a meal that’s under 400 calories and filled with protein, iron, and vitamins A and C.
It’s so easy to turn a can of black beans into a filling, protein-packed soup. All you need are some spices, a can of beans, and some broth or water. 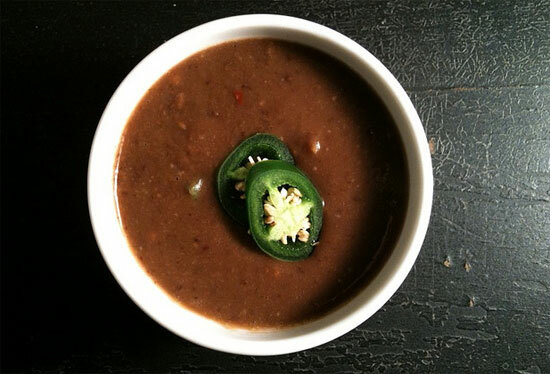 This recipe for low-calorie black bean soup is a healthy way to fuel up after a long night at the gym. A healthy stir-fry is one of my favorite meals to make after a sweaty night at the gym. I throw together whatever veggies I have on hand and sometimes add tofu or lean chicken to the mix. Put that over a bowl of quinoa, and you’ve got yourself a complete meal! 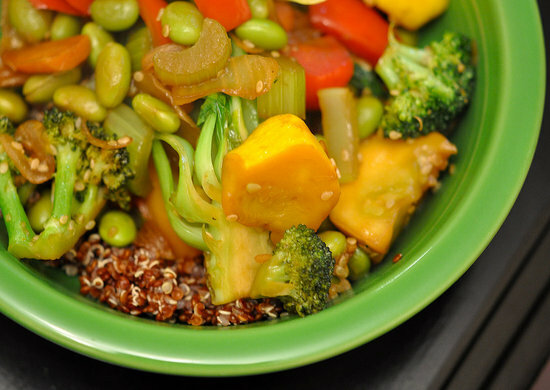 Check out this easy recipe for a veggie quinoa stir-fry. Craving something sweet? Try this cacao, banana and avocado smoothie. It’s the ultimate sweet fix. The combination of banana, cacao, dates, avocado, almond milk and almond butter is too incredible as each glass is just so deliciously smooth, rich, creamy and chocolatey. Yet still so wonderfully light and, even better, so speedy to make – literally three minutes from cupboard to cup. It’s like a new and improved take on chocolate milk, just a million times healthier! The over-ripe banana, dates and drop of agave really make this so unbelievably sweet, it’s almost hard to believe that it is natural. Trust me, everyone will love this. It was such a hit in the flat last night that we ended up licking the blender clean! It’s just that good. So sweet, so natural, so easy. Recipes like this really make not eating processed sugar, chocolate and candy too easy. I never would have thought I’d say it, but Haribo, Ben & Jerrys or Cadburys, could never taste more delicious than this. Avocado may seem like a weird addition to the ingredient list here, but it is the magic ingredient as it makes the smoothie so irresistibly creamy. It really works to replace yoghurt, which would normally be used in smoothies. Not only does the avocado make the texture a trillion times better, but it also really vamps up the health properties of this drink as it is such a super food. One of the most awesome things a bout avocados is that they’ve been shown to really increase the absorption of all the vitamins and minerals of the foods eaten with them, meaning you’ll get even more goodness from all the other ingredients. They’re also great sources of vitamins E, K and B, all of which help to keep your body strong by regulating your metabolism, keeping your bones strong and keeping your skin glowing. As well as having serious anti-inflammatory properties, promoting blood sugar regulation and containing a great portion of fibre. So much goodness in one vegetable! Peel the banana and avocado, discarding their skins and pit the dates. Then, simply place all of the ingredients into the blender, blend for 2 minutes until smooth. You might have noticed that there aren’t any ads or sponsorships on AYOP–that’s because articles like this one are totally made possible by people like you. If you found this article valuable, please considering pitching in! Three new friends that have pitched in recently: Jonathan Guillotte-Blouin, Kęstutis Mačiulaitis, and Riccardo Caimano! New research shows that walking boosts creative thinking. In a series of experiments, researchers from Stanford University in California compared levels of creativity in people while they walked with while they sat and found creative output went up by an average of 60% while walking. Many people claim that they come up with their best ideas while walking. Steve Jobs, late co-founder of Apple, used to hold meetings while walking, and Mark Zuckerburg, co-founder of Facebook, has also been doing the same. Now, a study by Dr. Marily Oppezzo and Daniel Schwartz, a professor at Stanford Graduate School of Education, may explain why. They found that the act of walking itself does the trick—it does not matter whether the walk is indoors or outdoors, it has the same effect in boosting creative inspiration. In one experiment, they found that compared with sitting down, walking indoors on a treadmill facing a blank wall or walking outdoors in the fresh air produced twice as many creative responses. Dr. Oppezzo says she thought “walking outside would blow everything out of the water, but walking on a treadmill in a small, boring room still had strong results, which surprised me.” She says theirs appears to be the first study to look specifically at the effect of non-aerobic walking on simultaneously generating new ideas, and compare it with sitting. The effect of walking appears to persist for a little while; even if people sat down shortly after a walk, their creative juices continued to flow, the researchers found. To carry out their four experiments, Dr. Oppezzo and Prof. Schwartz recruited 176 college students and other adults, and had them complete tasks that researchers normally use to measure creative thinking. They placed the participants in various conditions, comparing non-aerobic walking to sitting, indoors and out-doors. When outdoors, for instance, the walkers would walk, and the sitters were pushed in wheelchairs around a pre-determined path on the Stanford campus. The reason for pushing sitters around in wheel-chairs in the out-door parts of experiments was to give them the same visual movement as walking. 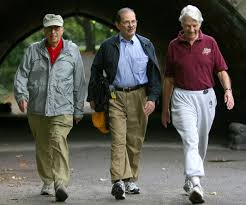 The participants also underwent different combinations of walking and sitting. For example, there might be two consecutive walking sessions, or two consecutive seated sessions, or a walking session followed by a seated one. The sessions lasted from 5 to 16 minutes, depending on the tasks the participants were asked to complete. In three of the experiments, the participants undertook tests of their divergent thinking creativity. Diver-gent thinking is where you generate ideas by thinking of lots of possible solutions. For these tests, the participants were asked to think of as many uses as they could for a given object. They were given three objects at a time, and each time, they had 4 minutes to think of as many uses of the three objects as they could. The responses were marked according to novelty (nobody else in the group had thought of it) and appropriateness (for example, it would be unrealistic to suggest a tire could be used as a ring on a finger). In these three experiments, the vast majority of the participants scored higher on divergent thinking creativity while walking than while sitting. In one particular experiment carried out indoors, participants walking on a treadmill scored an average of 60% higher on divergent thinking creativity than when they were sitting. There was also a fourth experiment that tested a more complex type of creativity. The tester gives the participants prompts to which they have to respond with complex analogies. The more the analogy captures the deep structure of the prompt, the more it scored on high quality. For instance, in response to the prompt “a robbed safe,” a response like “empty wallet” would not score as high on quality as “a soldier suffering from PTSD,” which captures the sense of loss, dysfunction and violation. This experiment found that walking outside resulted in 100% of participants generating at least one high-quality complex analogy, compared with only 50% when sitting indoors. The study also showed that not all thinking is the same. 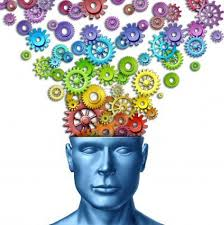 Divergent, brainstorm thinking is different to convergent thinking that requires single, correct answers. Productive creativity involves a series of steps, from generating ideas to execution, and not all using the same type of thinking process. The results showed that when performing this test, walking produced slightly worse scores than sitting. Dr. Oppezzo says the study shows walking appears to benefit the creative steps that involve divergent thinking. Convergent thinking, on the other hand, does not appear to benefit. Prof. Schwartz says more work is now needed to find the underlying causes, but their findings provide a “very robust paradigm that will allow people to begin manipulations, so they can track down how the body is influencing the mind.” One of the key questions to investigate will be to determine if it is just walking, or any form of mild physical activity, that has this effect on creativity. 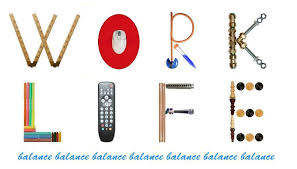 From Rebecca McGonigle from the June 2014 Wellstyles Newsletter published by Valley Schools Employee Benefits Trust (VSEBT).